You are vital to the success of battlefield communications. You will prepare, engineer and maintain operational and tactical Communications Information Systems to ensure that frontline troops and their commanders can communicate on deployment worldwide. Trained to a high level you will be able to engineer a range of systems including radios, satellite systems, computer networks and mobile communications as well as support a range of software applications. On completion of training you will be promoted to Lance Corporal and will go on to specialist courses to enable you to become an expert in your field. You will receive a range of civilian recognised qualifications up to degree level. There are opportunities for you to apply your knowledge, skills and experience to specialist roles such as a Special Forces Communicator, Advanced Cyber Operator or an Explosive Ordnance Disposal Operator. 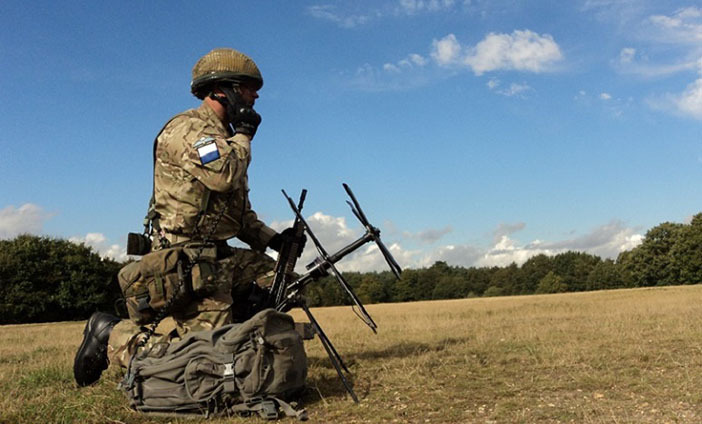 Become an expert and engineer and maintain and repair a range of communications equipment for use on the battlefield and on operations. Get continuous personal and professional development including civilian accredited transferable qualifications. Learn to drive and operate military vehicles ranging from a Land Rover or HGV to fully armoured fighting vehicles. Promotion to LCpl on completion of initial trade training and then, if you excel fast track to Staff Sergeant. Learn to instruct and pass on your expert skills and knowledge. Then you will study to become a specialist at the Royal School of Signals in Blandford. Here you will begin the technical training you will need to fulfil your future role. You will study engineering fundamentals, networking and communications principles, static, mobile and wireless communications, software applications and defensive cyber techniques. With this new knowledge, you will learn how to communicate using military and commercial systems. In addition to this you will study the management, maintenance and operation of the equipment used regularly by the Royal Signals. You’ll practice these skills in a variety of environments in conjunction with developing your leadership skills to allow you to fulfil the role of Lance Corporal upon your promotion. Golden hello available of £5,000 when you finish your Phase 2 training. "I have been taught so many new skills; from building and maintaining networks, to working on rooftops fixing mission critical satellites. I mainly facilitate communications throughout the battlefield, this could be through a detachment to different capbadges – such as the Infantry or working with the Special Forces, or wider in a civilian or a tri-service environment so every day really can be different."